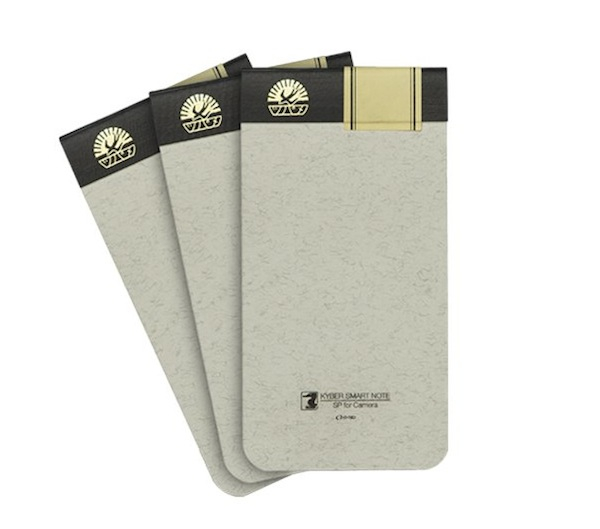 Last month, a Japanese IT company, O-RID, released a unique cloud notepad called KYBER Smartnote (Three for ¥1,500 /US$20). It looks very normal, and can be used for taking memos or minutes just like a normal notepad. Maybe you can’t tell what is so special about this item from its appearance. OK. Let me tell you what happens after you write something on it. 1) With your iPhone, snap a photo of your handwritten memo. 2) Upload it to the special KYBER server. 3) The handwritten memo data is converted into text with OCR (Optical Character Reader). 4) The text is randomly divided into short sentences. 5) Each sentence is proofread using manpower (explained below). 6) The resulting file is returned in about 90 sec. The most intriguing feature of this service is this part >> 5) Each sentence is proofread using manpower. In Japan, there are 150 people engaging by O-RID in this proofreading work, and over 1,000 people in China. You might wonder if proofreaders in China can really proofread texts written in Japanese. The answer is YES. Most Chinese staff cannot read Japanese. However, they still can proofread Japanese texts because they just compare two images (before & after OCR) and check if they are the same or not. It’s an amazing human-wave tactic, isn’t it? What’s more, the results are quite accurate. And you can use this OCR service 29 times for free (the fee is included in the price of the notepads). I think this is great service. But personally, I would like bigger cloud notebooks as well (not only small memo pads)!